Days have passed since the scary earthquake shook the San Francisco Bay Area. The earthquake was a magnitude of 6.0 and it was centered near the city of Napa.Our Team has been contacted to help clean up. Read our blog post about what the company is doing and other tips we offer. The aftermath of recovering from an earthquake is difficult for everyone who was involved. According to the United States Geological Survey the earthquake lasted 10-20 seconds and struck six miles south of Napa. Water mains and gas lines ruptured, glass broke, great damage was seen in many buildings. In the city of Napa, 120 buildings have been red-tagged because they are too dangerous to enter and 500 buildings have been yellow tagged because they are in need of repairs. California is known to have earthquakes and aftershocks than any other state but not many residents have earthquake insurance. Under federal programs homeowners without earthquake insurance can qualify for $30,000 in cash aid and can take out loans with low interest to fix and replace property. Those with insurance would be eligible for assistance by their insurance to pay for uncovered losses. However, many residents do not purchase earthquake insurance for financial reasons. If one can afford it, shop around to find what will benefit in the long run and ask your insurance if it can be an add on. We also recommend using the USGS map to check how prone your area is. If at higher risk, check what ground your home or business is built on because the type of structure plays a significant role. For instance brick may be shaken up while a building built in a flexible wood frame may last through a shake. Earthquakes can be unpredictable but there are several companies that are here to help and we are one of them. Our demolition and cleanup division can remove any material safely and if demolition is needed we follow strict procedures to keep everyone around safe. 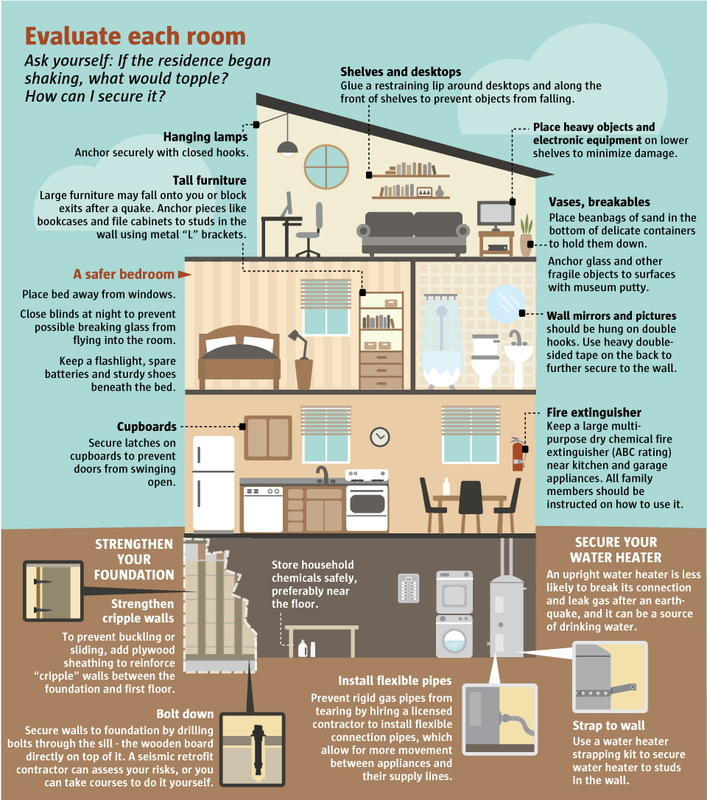 The Seattle Times shares a guide to earthquake preparedness to secure your home. It is better to be prepared even if we do not know when another quake will hit then to be unprepared.